The Perfect Mantis Bug Tracker Hosting Solution. Hosting for your Mantis Bug Tracker website that just works. Servers optimized to give you the best Mantis Bug Tracker experience possible. 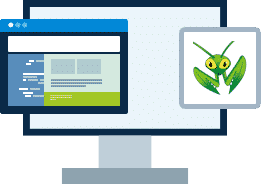 We’ll even install Mantis Bug Tracker for you! We’ll move the Mantis Bug Tracker site for you! 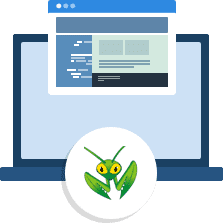 Softaculous auto-installer – Install Mantis Bug Tracker in just a few clicks. GD support – Needed for many Mantis Bug Tracker plugins. Zend and Ioncube support – Needed for some Mantis Bug Tracker plugins. MantisBT is a free popular web-based bugtracking system. It is written in the PHP scripting language and works with MySQL, MS SQL, and PostgreSQL databases and a webserver. MantisBT has been installed on Windows, Linux, Mac OS, OS/2, and others. Almost any web browser should be able to function as a client. It is released under the terms of the GNU General Public License (GPL).